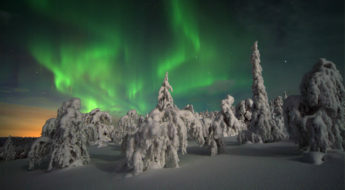 Salla – in the middle of nowhere, as their official slogan goes – is a heaven for the peace and nature -loving traveler. Whether you’re traveling alone or with children, winter or summer, you will find lots of places to see, things to experience and history to discover. In the south of Finnish Lapland lies the small village of Salla. Salla is most known from its Ski Resort, which is no wonder: Salla is actually the place where skiing was born in Finland. 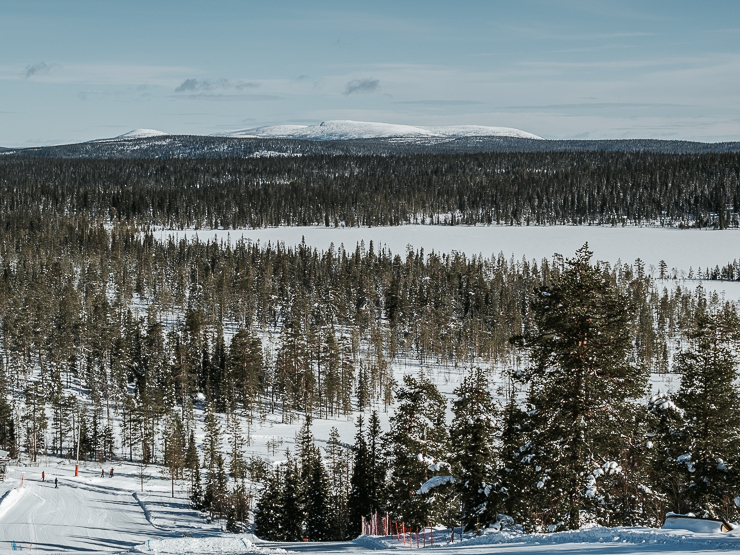 The first downhill skiing and slalom competitions were held in Salla’s sister fells Sallatunturi, Välitunturi and Rohmoiva in 1937, but there is even older evidence of skiing in Salla. The world’s eldest ski, that has been tracked all the way to the Stone Age, has been found in Salla! 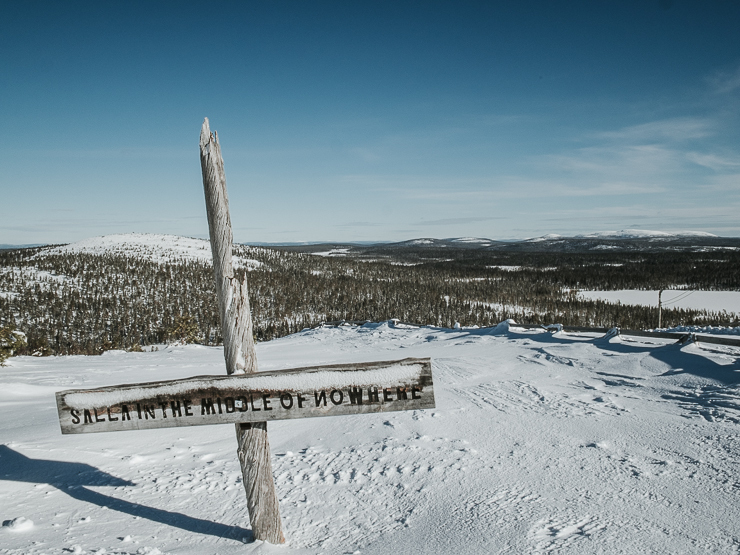 After the Second World War the three sister fells had to be given to the Soviet Union, but this didn’t kill the skiing culture in Salla – after all, it had roots deeply in the ground of the area, but also in the blood of the people. Even nowadays the Salla Ski Resort employs mostly local people and not seasonal workers. This really shows: customer service is genuine and full of Lappish warm-hearted style. In Salla you really feel like home on holiday. 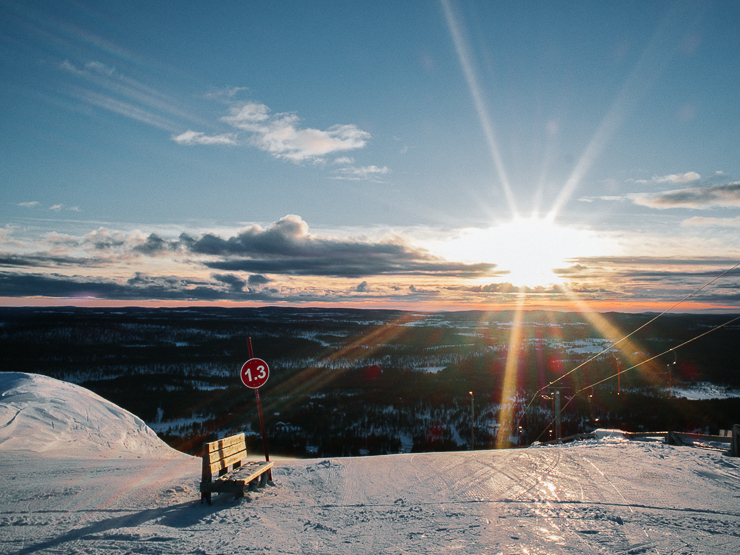 You don’t have to be a ski enthusiast to be able to enjoy Salla, though. 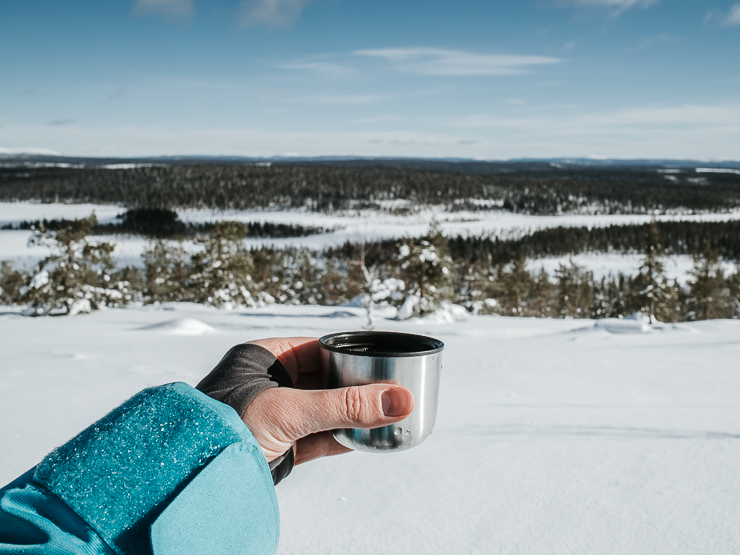 The wilderness area and views in Salla are just breathtaking, and there are multiple ways to enjoy the great outdoors. You can, for instance, rent a pair of snowshoes, pack your backpack full of goodies and warm drinks, and walk your way on top of the fell. The are many marked routes there, visible also in the wintertime. The cross-country skiing facilities in Salla are amazing: there are over 140 km of well maintained tracks, of which 40 km have lightning. Equipment can be rented from the ski shop if you haven’t got your own skis, boots and other essential stuff. Even a teacher can be organized in no time! The silence on top of the fell is truly something to appreciate. Close your eyes, breath in some of the world’s cleanest air, and feel the change in your body and mind. Suddenly you’ll find yourself free from stress, feeling relaxed and invigorated. 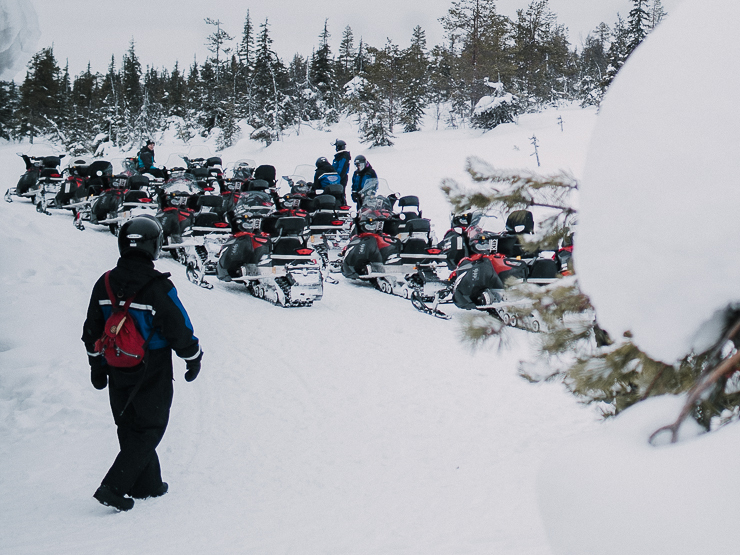 When in Lapland, you might want to experience also a snowmobile safari. This can be easily done in Salla, and the friendly folk at Napapiirin Safarit will organize a safari that suits your interests and needs. Even families with small children are covered: a comfy shuttle, that is attached to a snowmobile, fits easily a couple of adults with children. 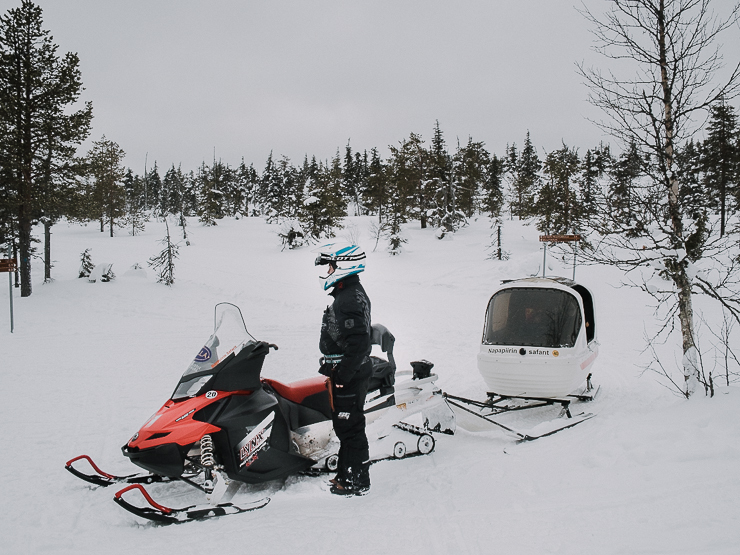 When attached to a shuttle, the snowmobile is always driven by a professional guide, so there is no need to worry about drifting off the marked route in the nature. Summer in the Finnish Lapland is something unique and a thing everyone must experience at least once in a lifetime. The polar nights – or nighless nights as we say – are unbelievable. Imagine a beautiful summer day that never comes to an end, and you’ll get the picture. You see, the sun doesn’t set at all in the summertime. This might be tricky considering a person’s need for sleep, but then again: who wants to sleep when there is so much to do and see! First, you might want to go mountain biking – there are 444km paths for biking of which 46km for mountain biking only. If biking isn’t your cup of tea, there are many intriguing hiking routes to explore close to Salla. Only a short drive away from the village there is also the beautiful Oulanka National Park, where you can, for instance, experience some of the most amazing canyons in Finland. There are wilderness cottages in the nature for sleeping but you can also sleep in a tent. If you wish to experience a place that is still unseen by many, you might want to navigate your way to Naruska, Northern Salla, where the Kullaoja waterfall lies hidden in the woods. Imagine an enchanted forest and the purling sound of water running in the streams. As you walk on, the sound gets stronger but still stays gentle as a summer day. There are signs that will guide you to the right direction from the car park, but there is no visible path to the waterfall – you’ll just have to listen and follow your ears to get to this beautiful waterfall. But it is really worth it. 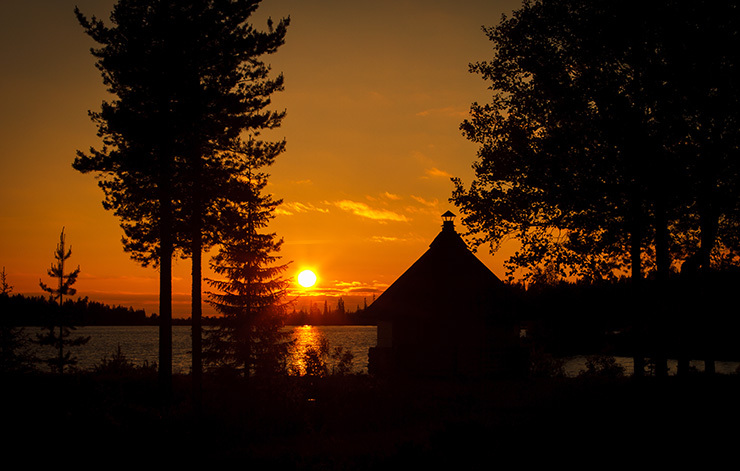 The serenity of Finnish nature can truly be found in places like the wilderness of Naruska. As you can imagine by now, Salla is a great destination any time of the year. If you wish to read more about Salla, click here!